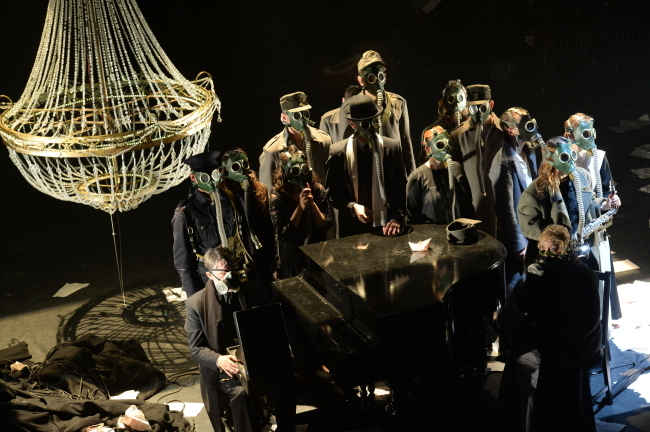 To commemorate the 100th anniversary of World War I, the Chekhov International Theatre Festival unveiled in 2014 the dramatic Russian play “The War,” which pays homage to the devastation caused by combat. 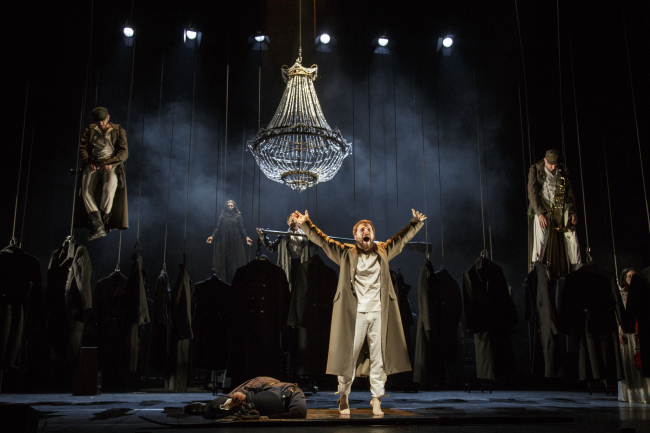 The play premiered at the Edinburgh International Festival and has since toured to countries including Russia, Poland, Romania, France and Portugal. Now gearing up for its Asia debut, “The War” is set to open this year’s 15th annual Uijeongbu Music Theatre Festival with performances on May 12 and 13. The musical play is a modernized adaptation of Homer’s “Iliad” and tells the tale of a young soldier preparing himself for war. 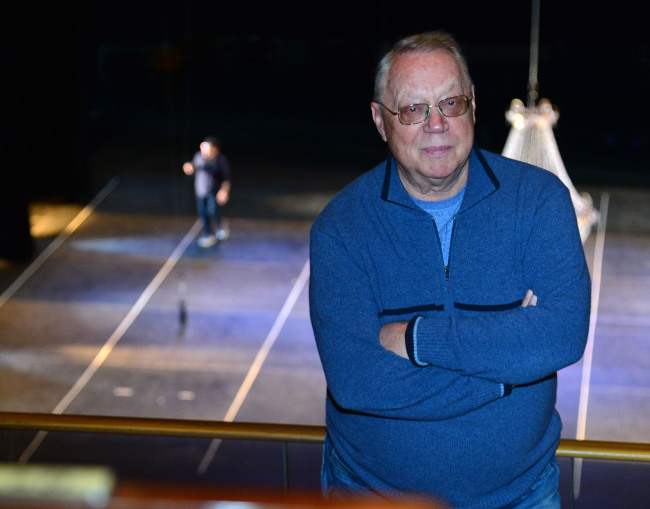 “Actually, there is no particular storyline to this production,” said Valery Shadrin, general director of the Chekhov International Theatre Festival, during an interview with The Korea Herald at the Uijeongbu Arts Center in Uijeongbu, Gyeonggi Province, on Thursday. The very visual and grim tale of war is being put up in front of an Asian audience for the first time. Considering Korea’s history of colonial rule and war -- and with the two Koreas still technically at war to this day -- the director says he’s curious to see how the local audience will react to his production and whether or not the sentiments of the storyline will hit close to home. “When we first started to work on this production years ago, the world was not in the same political climate as we are in now,” he continued. “Back then I could have never anticipated how much this performance reflects current society. The show’s opening scene begins in Paris, where a group of artists have an in-depth conversation about the philosophies of war. Some argue that war is a positive and unavoidable aspect of human life because it leads to renovation and revelation, while others see it as nothing but mayhem and destruction. “The War” uses a combination of three languages -- Russian, English and Greek -- and will have Korean subtitles. “The War” will be staged at the Grand Theater at Uijeongbu Arts Center in Uijeongbu, Gyeonggi Province, on Friday and Saturday night. Ticket prices range from 20,000 won to 70,000 won. For more information on the festival and upcoming performances, visit http://2016eng.umtf.or.kr.